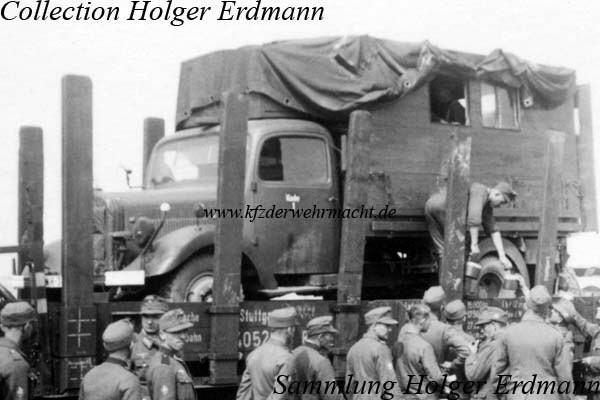 The modernised version of the 3 tons lorry was manufactured named as Mercedes-Benz type L 3000 S from 1938 to 1944. On the photo above one can see a Mercede-Benz type L 3000 S during engine maintenance. The vehicle seems to be painted in dark grey with dark-brown camouflage pattern. This was typical for the years 1935 to 1940. 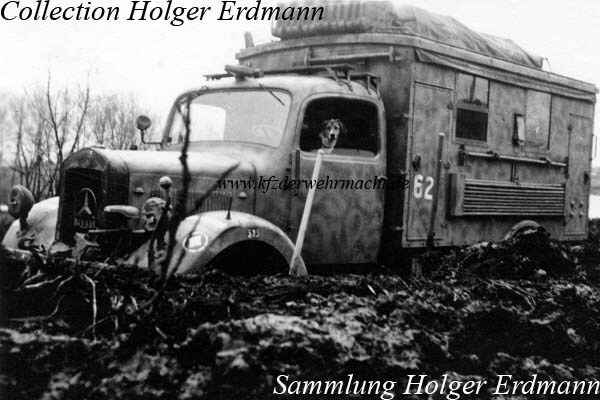 This Mercedes-Benz type L 3000 S was converted to a field kitchen car. 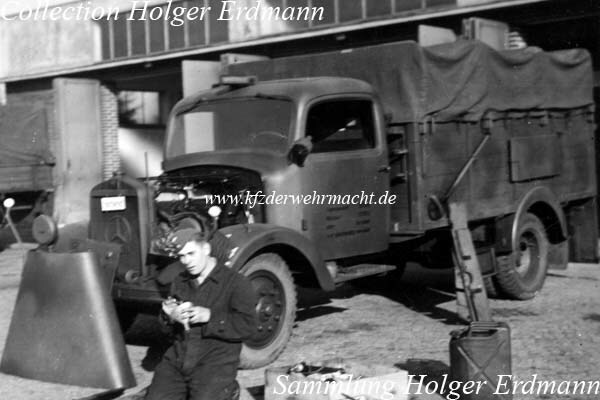 Note the changed front fenders compared to the Mercedes-Benz type L 3000 of the year of construction 1938/39. The Mercedes-Benz type 3000 S did not withstand the demands of war - especially in Russia. The competition model of Opel met the demands easily! This Mercedes-Benz L 3000 S with standard box body stuck in the mud. The vehicle of the Luftwaffe had a multi colour camouflage finish. 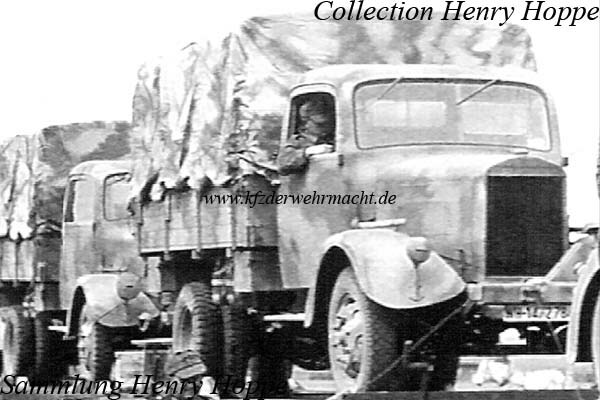 Mercedes-Benz type L 3000 S lorries with box body seem to have been quite frequently used by Luftwaffe units. This photo shows most probably the last production model of the Mercedes-Benz L 3000 S. Unnecessary embellishments were omitted like the rear fenders. The bumper was replaced by a narrower model. Furthermore, smaller headlights were installed.